Arsenal have now won six consecutive league matches within a single campaign for the first time since 2016. 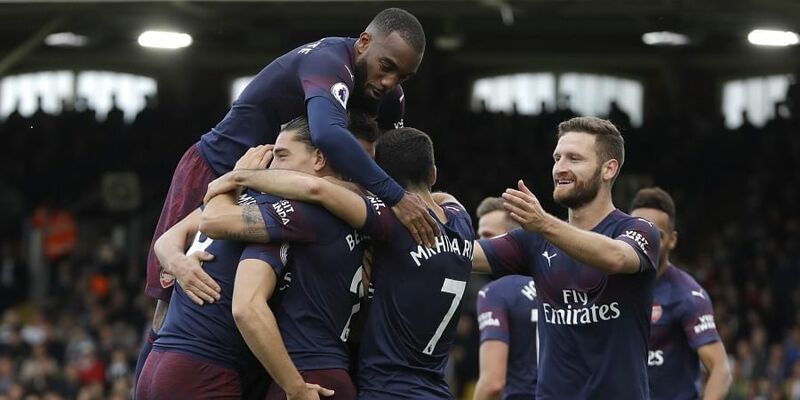 LONDON: Arsenal swaggered to a ninth successive win as Alexandre Lacazette's double and a goal of the season contender from Aaron Ramsey inspired a 5-1 rout of Fulham on Sunday. Unai Emery's side turned on the style on the banks of the River Thames, recording their biggest win of the season as the resurgent Gunners moved into the Premier League's top four. 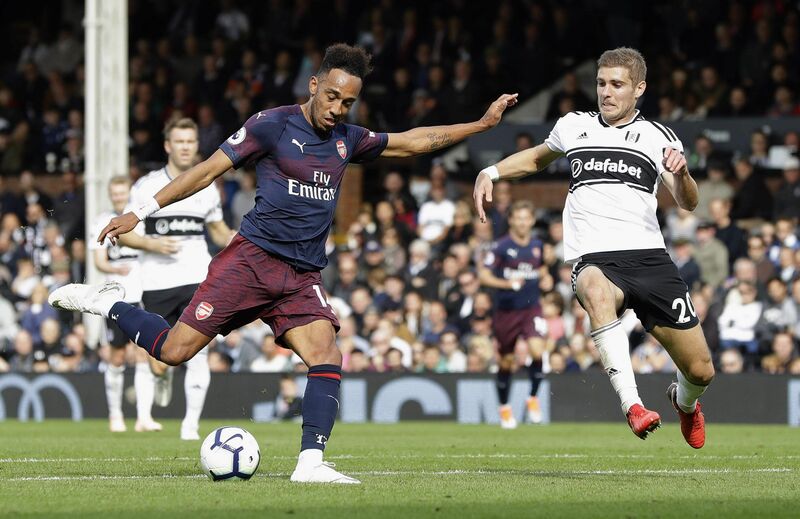 Lacazette was at the centre of Arsenal's powerful show at Craven Cottage, with his superb second-half strike restoring their lead after Andre Schurrle had cancelled out his opener. Ramsey's audacious back-heeled goal put Arsenal in complete control to cap a stunning move that recalled the club's finest days under Emery's predecessor Arsene Wenger. Arsenal have also recorded three consecutive away league victories for the first time in two years. Fulham are the only side in the Premier League yet to keep a clean sheet this season and it was easy to see why as Arsenal carved holes in the hosts' creaky five-man defence. Arsenal were close to a second goal as they again exploited the space behind wing-back Cyrus Christie, with Henrikh Mkhitaryan's effort well saved by Marcus Bettinelli. Unhinged by Monreal's wasteful pass, Arsenal were out of position as Luciano Vietto slipped a pin-point pass to Schurrle, who caught Rob Holding ball-watching as he sprinted through to chip a fine finish over Bernd Leno for his third goal this season. Aubameyang put the seal on Arsenal's stroll in the autumn sunshine in the 79th minute, deftly converting Bellerin's cross. The Gabon striker wasn't finished yet and, in the last minute, he smashed in Ramsey's pass for his sixth goal of the season. No wonder jubilant Gunners crammed into one corner of Craven Cottage celebrated the goal with chants of "We've got our Arsenal back".